We recognize the importance of retaining your individuality through the utilization of treasured furnishings that may have been acquired over a lifetime. These are individual to each client and allow the style and design to be a truly unique expression of your taste. Whether the influence is material or merely a conceptual idea, our job is to translate this source into a vision for a coherent composition. Our Services Include: *Establish a Color Palette that is enhanced by the unique light in your in your home or office. *Light and Window Assessment for privacy, UV protection and energy or structural considerations. *Designer Light Fixtures, not available in retail stores and specialized lighting design to elucidate your space. 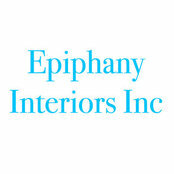 *Custom Designed and Locally Made Window Treatments which enhance both the function and feel of a room. *Refurbish Existing Treasures and find their hidden potential as useful or inspirational furnishings. *Floor Plan Design, featuring various arrangements and traffic patterns for optimal flow. *Complete Presentation of Interior Plans with superior materials and craftsmanship that only we offer. *Custom cabinet.furniture, and ironwork design to perfectly suit your taste. *Unique tapestries and rugs from around the world.